Speaking with Eric Allison is like sitting in a business conference and listening to a motivational speaker all wrapped into one. His shrewd business acumen is evident in every conversation yet his practical articulation and narrative eloquence is what sets him apart. Take the concept of the presumptive close, for example. While this is a common method used in strategy, Eric suggests that it can also be used in everyday business, such as hiring a new employee. 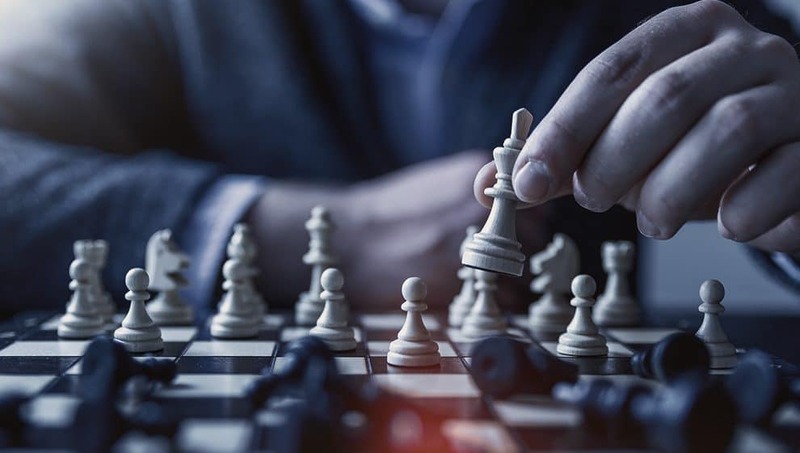 It seems as though every move he makes is not without strategy and an end goal in mind, and that’s what gives him an edge – both in business and in life. Even at a young age, Eric has been aggressive in going after what he wants. He is entirely self-made and worked from the ground up, starting as a recruiter until he became a staffing company owner at the age of 24. In 2001, Eric founded Pulse Healthcare Staffing, a highly successful staffing firm supplying Travel Nurses to top healthcare facilities. Pulse was one of the fastest growing staffing firms in the state of California until he eventually decided to sell his firm in 2003. He, however, was posed with a detrimental dilemma. All the brokers he spoke to couldn’t offer a valuation that he believed his company deserved. In true Eric Allison fashion, he took matters into his own hands and even with no formal training in Mergers and Acquisitions, was able to broker its sale with a valuation that broke M&A records at the time. In the cut throat business that is Mergers & Acquisitions, a company owner that desires to sell needs an advisor that is quick on his feet, has immense industry knowledge and the capacity to close a deal that benefits all parties involved. Eric handles his business the way he goes about life. He’s extremely strategic, agile and ensures that all his clients get the fair end of the deal. His intuition is always on point, and he possesses the uncanny and innate ability to creatively execute the art of the deal. All it takes is one phone call with him to know that their companies are in the right hands. Eric has an in-depth comprehension of both the buy-side and sell-side of Mergers & Acquisitions, having had first-hand experience on both ends of the deal. Today, he is widely popular in the Staffing & Recruiting industry as a dynamic and passionate visionary with remarkable M&A instincts targeted at achieving unencumbered strategies. Eric has successfully completed multiple cross-border M&A transactions in the US and in Asia. Some of his notable deals include the sale of Philippine daily-deal site MetroDeal to Japan’s outsourcing giant Transcosmos, professional IT and staffing firm Accuro Group to IT service and staffing company IDC Technologies, and staffing agency Global Technology Services to consulting and technical support services company Novume. Eric is currently practicing his M&A Advisory as the Managing Partner of Golden One Ventures, a boutique M&A firm catering to the middle market. The company is solely focused on Mergers & Acquisitions in the Staffing & Recruiting Industry. The firm is a member of Staffing Industry Analysts, American Staffing Association and TechServe Alliance. With Eric’s resourcefulness and fearless drive, it’s clear that he’s reaching for even greater heights — and bringing along anyone that chooses to work with him.